The Big One is here! 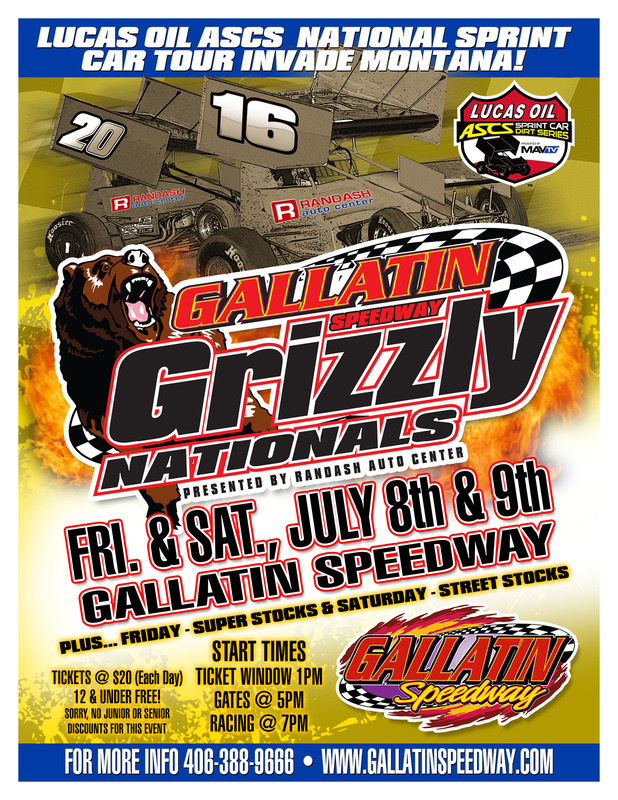 Grizzly Nationals ASCS National Tour presented by Randash Auto! The only national tour stop in Montana! Two big nights of heart-pounding sprint car action! The ticket window will open Friday and Saturday at 1pm. 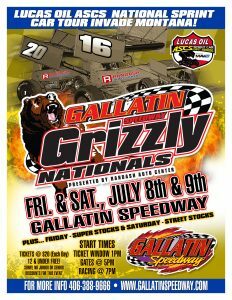 Gate opens at 5pm and racing starts at 7pm both nights. Tickets are $20 per night for ages 13 and up. Kids 12 & under are free. General admission tickets only. (sorry, no discounted tickets or passes for this event). Camping is allowed on property. See a live grizzly bear! Don’t miss this event!